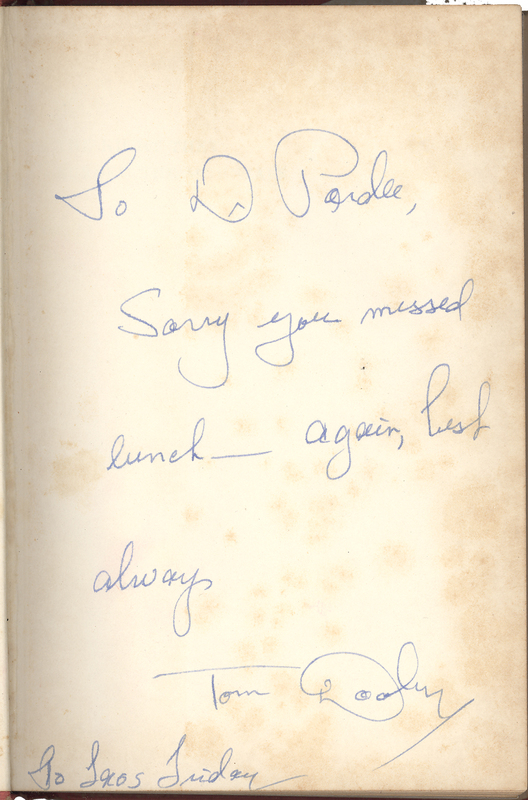 Book signed and inscribed by Thomas A. Dooley- The Night They Burned Down The Mountain, "To D. Pardee Sorry you missed lunch _ again best always Tom Dooly. Book in autographic condition, dust jacket with some missing parts and small tears, pages have some toning throughout. 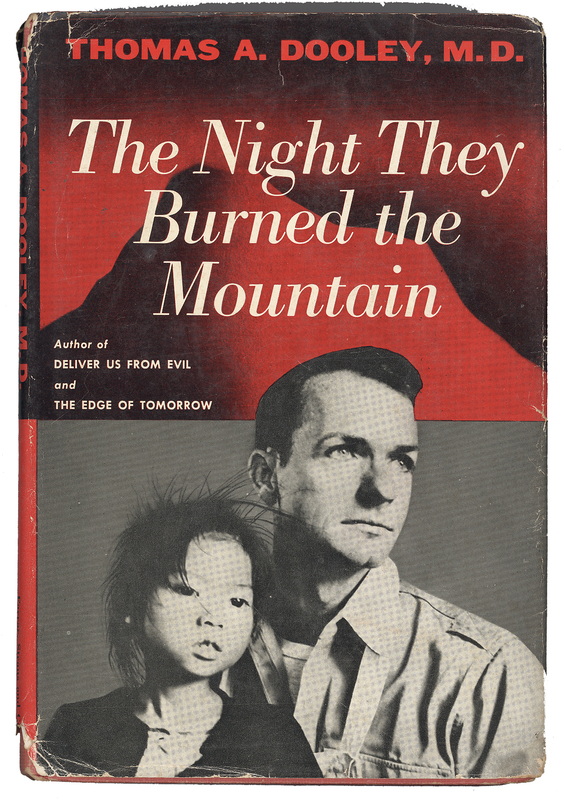 Doctor and author who wrote extensively about his humanitarian work in Southeast Asia before he was tragically stricken by the cancer that would claim his life at thirty-four.